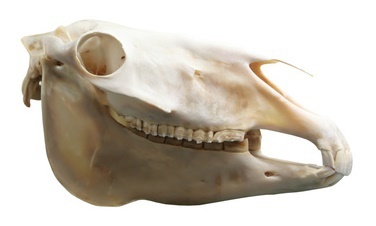 One of the horses front teeth, this image shows how the tooth changes appearance as it is worn down. 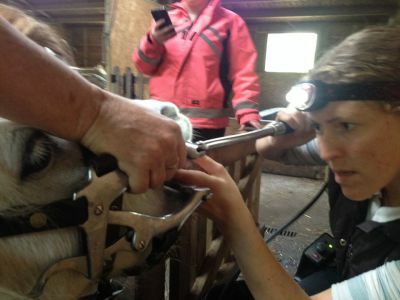 This is the basis that ageing a horse by it teeth works on. 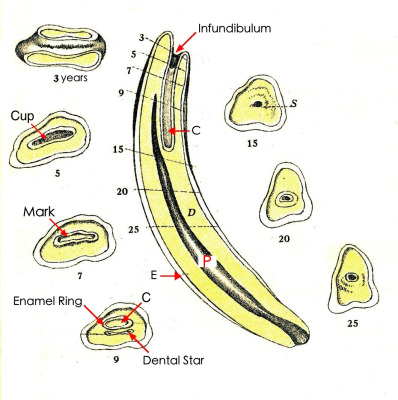 This is an diagram showing part of the horses teeth in a diagram form. 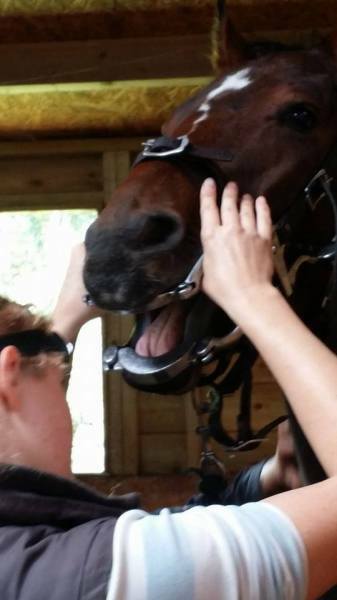 By drawing your horse's tooth profile onto these diagrams, a dentist can assess any changes and progress where rebalancing needs to be made over time. 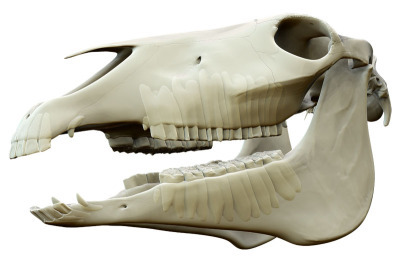 This is what your horse looks like under all the skin and muscles. 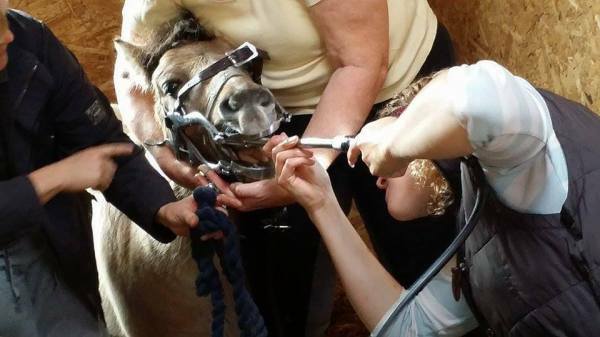 Many owners are surprised at just how far back the teeth reach. 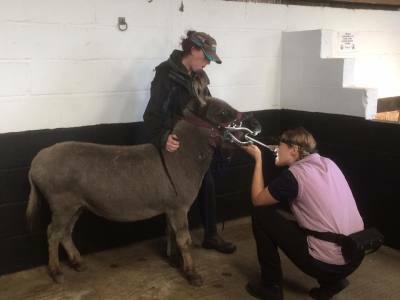 The only way of knowing exactly what is going on back there is with a detailed exam using a gag, head light and often a dental mirror.